To the virtual seasons of the fantastic series SPACE: Above And Beyond. In spite of being cancelled after only one season, the show lives on here on the net. 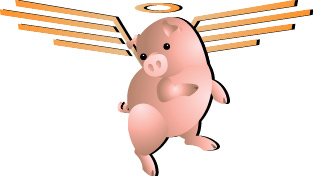 A group of dedicated fans calling themselves Flying Pig Productions have joined forces to continue the show in these virtual seasons.